Taxis are expensive, and buses can be confusing for first-timers. In Tokyo, the train is the most efficient mode of transportation. 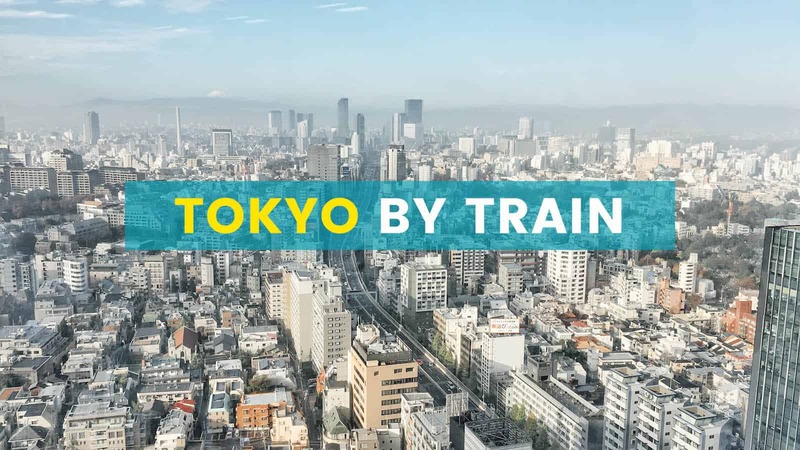 Tokyo has an extensive and expansive railway system. Wherever it is you’re going, there is most likely a train station very close to it. Tokyo by train can be a bit overwhelming at first, but it’s easy once you get the hang of it. First, bear in mind that the network is used by almost a dozen operators, including those serving the suburbs. 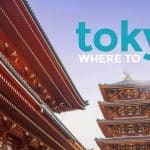 However, in this article, let’s focus on the three companies that serve Central Tokyo: JR East, Toei Subway, and Tokyo Metro Subway. Each of them operate multiple lines that get so entangled, it’s amazing how the Japanese make it work. Should You Get One of Those One-Day Train Passes? JR East controls the all-important JR Yamanote Line, a train loop that runs around Tokyo, linking the city’s key areas including Ueno, Shinjuku, Shibuya and Shinagawa. It also marks the boundary of Central Tokyo. The area within the loop is considered Central Tokyo. Expectedly, this line is used by a good fraction of the population (which is me saying that it’s often crowded, hehe). Aside from Yamanote, JR also runs other lines including Chuo Main, Chuo-Sobu, and the Shinkansen (bullet train). 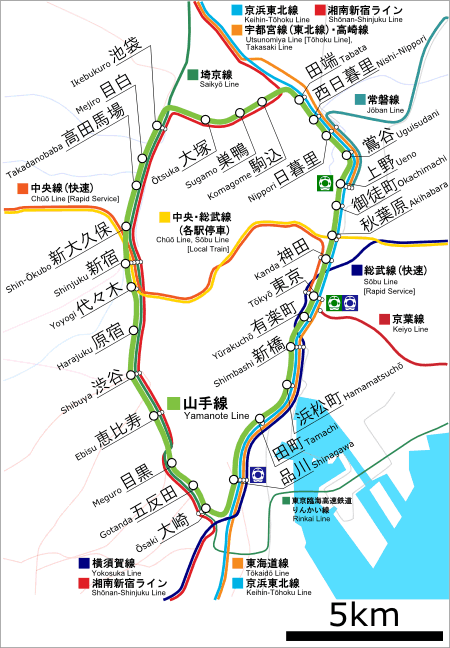 The subway lines are operated by Tokyo Metro and Toei. Although separate companies, these two are in great synergy. Often, you don’t need to exit the gates and buy new tickets even if you switch from Toei to Metro lines. (There are cases when you do, though.) Subway lines are marked with an assigned letter in a color-coded circle. For example, Shinjuku Line’s mark is an S in a leaf green circle. Mita Line’s mark is a the letter I in a blue circle. Remember these marks and the companies’ logos because this is how you’ll find them. You might be thinking, “Oh cool. That looks easy.” Wrong. 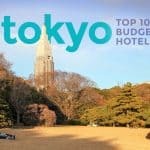 It seems easy to understand now, but if you’re a Tokyo newbie, it’s a lot more difficult in practice. These lines are so entangled, and when they meet in major stations like Shinkuku or Tokyo, things get even more complicated. 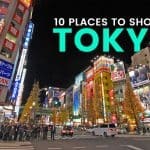 Even I, who have been to Tokyo four times, and my sister, who has been living in Tokyo for years, sometimes get awfully lost. 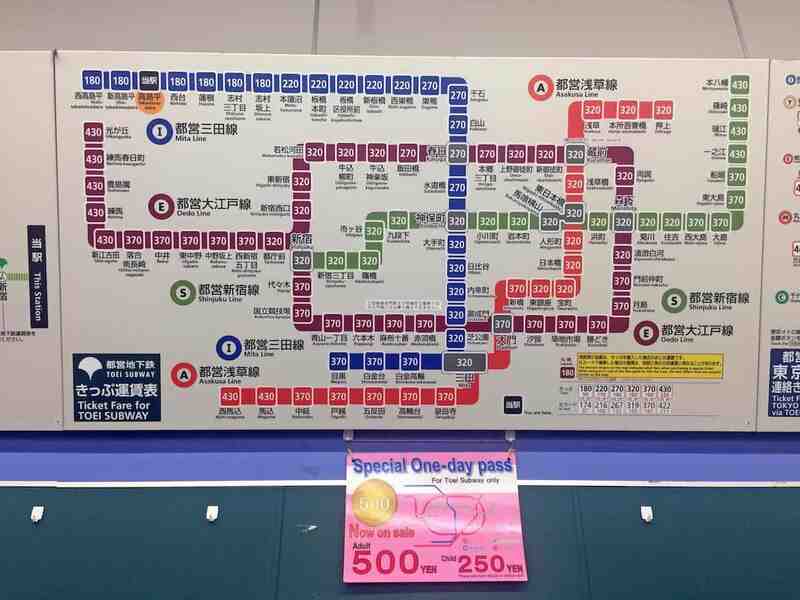 Tokyo Subway Route Maps are displayed above ticket machines. Notice the one-day pass offer below it. On your web browser, go to Hyperdia.com/en/. Enter your origin and the station where you’re going. It will then display possible route options including how much the ride costs and transfers needed to get there. At the train station, you can double check the price. Just look at the route map, usually above the ticket machines. The map displays the price based on distance. Sometimes, the map is in Japanese characters only, which is why Hyperdia is useful. Go to the right platform. To check if you’re in the right direction, check the list of stations usually displayed on a wall before the platforms. There is also a more detailed timetable in the middle of the platform. That’s it! If you get lost or you encounter any problem, don’t hesitate to approach the staff at the window. Every station has one. Also, if you’re an adult, don’t even try getting a ticket meant for kids just to get a discount. Children’s tickets make a distinct birdy sound when used at the gates to let the staff know that it’s really being used by kids. Yep, birdy. Prepaid IC Cards are also available. It seldom offers discounts, but the beauty of it is that you don’t need to get a ticket each time you’re using the train. You just need to quickly hover the card over the reader and you’re through. A lot of them are available but I find most of them impractical. 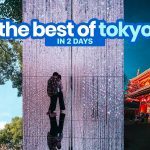 Tokyo Free Kippu (Tokyo Tour Ticket) allows you unlimited access to any JR, Toei, or Tokyo Metro line within Central Tokyo for one day. It costs ¥1590. It only makes sense if you’ll be riding the train SEVERAL times in a day. Tokyo Subway Ticket grants you unlimited access to all subway lines (Toei and Tokyo metro, NOT JR). 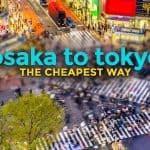 Cost: ¥800 for 24 hours, ¥1200 for 48 hours, and ¥1500 for 72 hours. 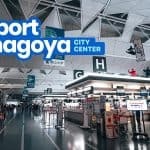 Available at Narita and Haneda airport. 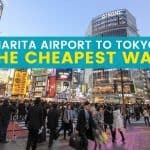 This is a good deal only if most of the attractions you’re gonna visit are close to a subway station. There are many other variations, but the two above are the most common. Hello po. Between suica and pasmo card, which one is better? Hi Vinz, similar lang yung SUICA and PASMO, so okay lang either. Hi Cha, yes, ICOCA works in Tokyo. Whether or not makakatipid ka sa 72-hour subway ticket depends sa itinerary mo. If yung mga pupuntahan mo is near a subway station, then gora. But remember JR is not covered by the subway ticket so if mas JR ang stations, di sya worth it.